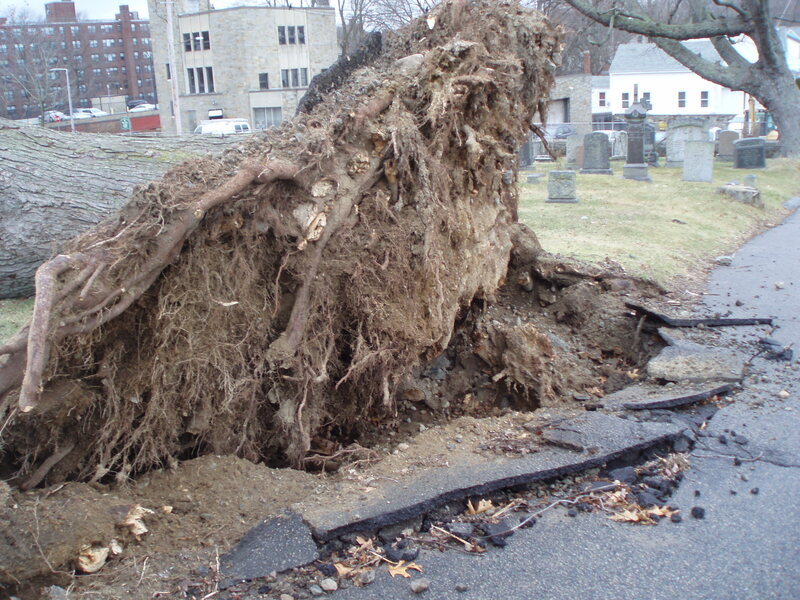 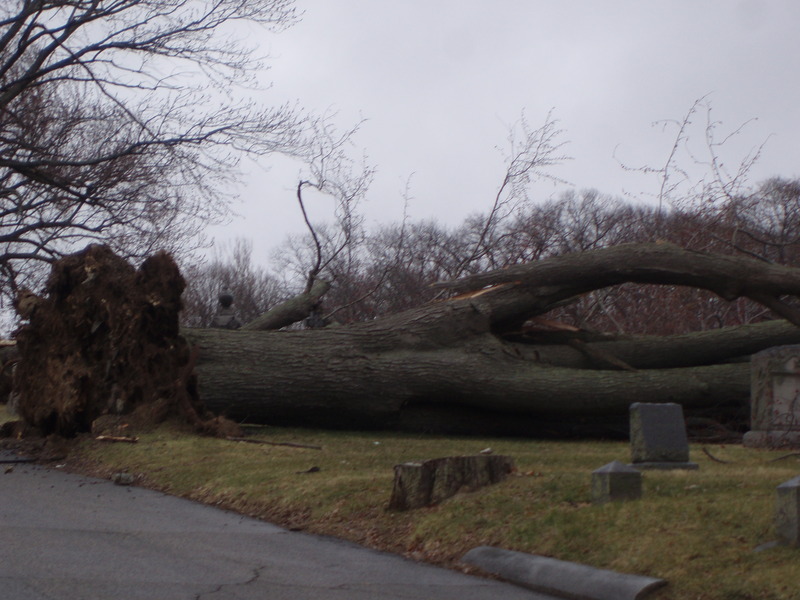 During the “Nor’easter” on Friday 3/2 luckily most of our cemeteries were spared significant damage. 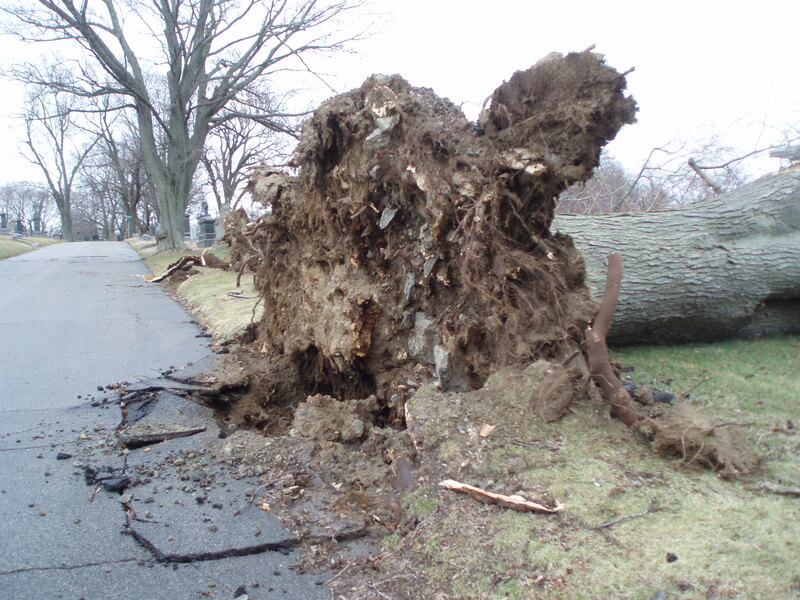 However we did loose 2 large trees at Mount Calvary. 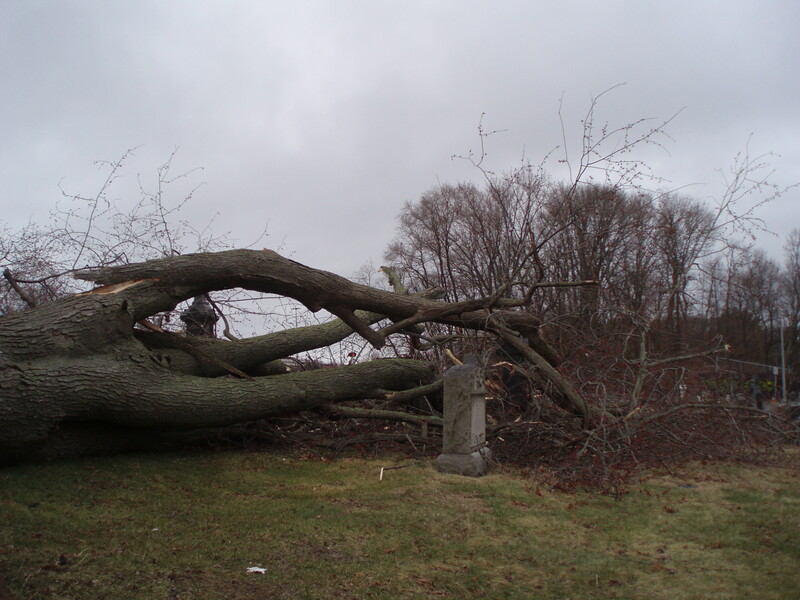 We have contacted our tree removal company and are patiently awaiting their arrival.